Home Care | Homestead, Florida | Courage Living Care & Services, Inc.
Providing assisted support for all aspects of daily life. To guarantee an environment conducive to maximize daily life experiences. Courage Living Care & Services, Inc. is committed to providing around the clock quality care through our highly trained staff. We have goal-oriented care regimens that are tailored to each individual’s specific needs. We focus care on maintaining our client’s emotional and physical well-being. 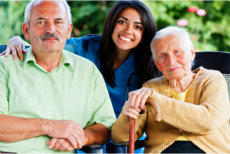 Are you looking for different options when it comes to Home Care in Homestead, Florida? Ask us about personal care, companionship or Respite Care! Give us a call at 305-910-5460.